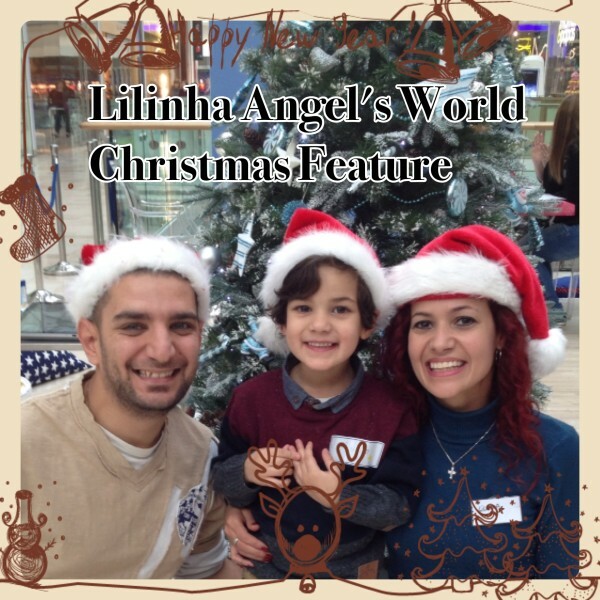 Today, Lilinha Angel’s World is giving away a Snuggledown Sleep Cosy Pillow (RRP £30.00), essential for a good night’ sleep. I have my very own Snuggledown Pillow and I love it. Snuggledown, part of the John Cotton Group, is a leading the design and manufacture of quality duvets and pillows, using only the finest materials sourced from around the world. All their duvets and pillows are carefully crafted from their range of naturally soft fillings and superior fabrics to meet the demands of busy lifestyles. 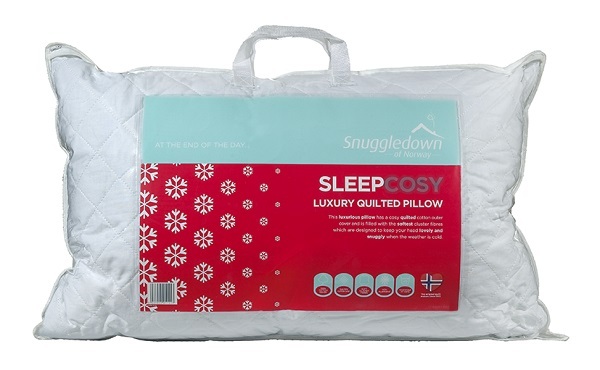 Snuggledown Sleep Cosy Pillow is a luxurious pillow with a cosy quilted outer cover. It is fitted with the softest fibres which are designed to keep your body lovely and snugly when the weather is cold. For your chance to win a Snuggledown Sleep Cosy Pillow, please fill in the Rafflecopter below. You MUST leave a comment and subscribe by email (compulsory entries), you can also gain extra entries by tweeting (daily entry), subscribing to other social media channels, etc. T&C’s: The winners will be picked by Rafflecopter after the closing date on Thursday 12th December 2013. Lilinha Angel’s World will contact the winners by email or Twitter within 7 days wherever possible and will allow 7 days for a reply. Open to over 18′s and UK only. If I do not hear anything within this time period I reserve the right to redraw a winner. Lilinha Angel’s World decision is final. 161 Responses to "Day 7 of 12 Days of Christmas Giveaway: #Win Snuggledown Sleep Cosy Pillow"
Leave a notepad and pen by the side of your bed so you can write things down rather than trying to remember them for the morning keeping you awake! Switch of all laptops, tv etc half an hour before bed and read a book! If all else fails, buy one of the ‘sleep’ CD’s that are available. I bought mine from M&S. Set up the cd player in the bedroom or download it to your iPod. Gosh, it is wonderful. The most relaxing music that just send you down the tunnel to sleep. Make your husband sleep on the floor! Go to bed early, make the room very dark and quiet. read a book before bed! a good support pillow !! a drop of lavender oil on your pillow or a warm bath before you go to bed helps you sleep better. Stay away from caffeinated drinks in the evening!!!! A warm bath and a good book. read a book in bed – guaranteed to send me off to sleep! Go to bed and get up at about the same time every day (even weekends!) to help your circadian rhythm to get established. Make sure you own a mattress, which is comfortable for you. We have a memory foam mattress which is firm and perfect for us, but other people prefer soft mattresses which we find hurts our backs! Try a few drops of Lavender oil on a tissue next to your pillow. Don’t go to bed last minute, take your time to rest and relax before you fall asleep. Don’t drink coffee too late in the evening! Wind down before going to bed. Comfort, I like to ensure I have nice supportive pillows. Make sure you blood sugar is not too low. Clutter-free bedroom…your bedroom should be for two things; love making and sleep (maybe not even the former, think about it; if you’re a bad sleeper you need your body to think of bed purely as a place of relaxation…’love making’ is anything but!). Your bedroom should reflect this, so there should be no clutter, no piles of dirty rubbish, no looming bills sitting on your bedside table, no TV to watch, etc. Basically if you’re going to fung-shui any room of the house it has to be your bedroom. Do something relaxing just before going to bed. have a nice cup of hot milk about an hour before bed! A good book before bed is my top tip! watching your fave tv show in bed so you can drift off! Ours is Friends! read for a while and have a bedtime! Never put off for tomorrow what you can do today. Stop worrying. It’s that easy! A hot water bottle in bed to warm it up before you get in! I discovered cussons mum and me spray when my grandaughter was born( 4 years ago) and from using it for her I continue using it myself,, I also always drink de-caff coffee from 4 pm and always take a cup of de-caff tea and a very small amount of chocolate to bed with me and a good book! I know many people advise against it, but the only way I get a good nights sleep is with the tv on quietly.. I can concentrate on that instead of thinking about everything else and I fall asleep a lot quicker than I would if it was off! For me it’s turn off all the technology (ie tablets, phones) and read a good book….relaxes me so much. dont use your phone or watch tv in bed as it stimulates your mind. reading a book is better! Keep all gadgets and electronics out of the bedroom. It should be for sleeping and not much else! Warm bath with lavender essential oil, warm milky drink, and a good book. If living with a snorer, invest in some ear plugs! Don’t take your phone/laptop/tablet to bedwith you! I drink plenty of water before I turn off the light! A perfect pillow which I HAVE YET TO FIND. The only way I can sleep well is if I’m warm and relaxed in bed. Send kids under 5 to the grandparents overnight !!! I have a lavender spray that I use when I’m feeling restless.Also a hot milky drink seems to zonk me out!! A lovely warm lavender fragranced bath. Try to avoid your toddler kicking you in the head.